This is a full player settlement I made for my own game and decided to share. This ideal for those that want a luxury settlement away from all the commonwealth troubles. Anyone can use this file as they wish, no permission required, all I ask is credit as original author. 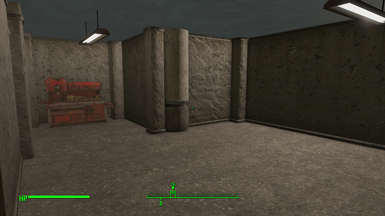 The settlement has a water source in the basement with power that needs connecting up. I recommend growing plots as I did not want dirt areas. The map marker is visible on exit from Vault 111, so you can go there before even talking to Codsworth. 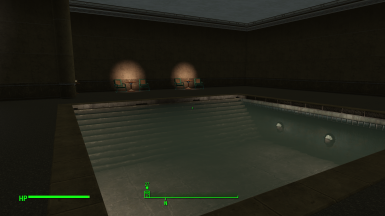 Conveniently placed next to Cambridge Polymer for easy access to Diamond city. The entrance from outside looks destroyed but this deception is why it has lasted untouched. Fully tested a number of times, I found settlers sometimes turn up within an hour other times within 2 days. When they do turn up they come to the settlement in a steady stream. They normally turn up quicker after completing a quest or two. I tested with a new game each time. There are some great mods to enhance this if using it as a school, like assignable school desks, Orphans of the commonwealth for child settlers to turn up or many minutemen mods if making an academy for your army. No DLC required only Fallout 4 and does not interfere with any existing content as I created the whole mod from scratch with new references. Just extract the contents to your fallout 4/data folder and enable in game. I have used may great mods from Nexus and wanted to give something back as a thank you for making my game great fun. Hope you enjoy and have fun.